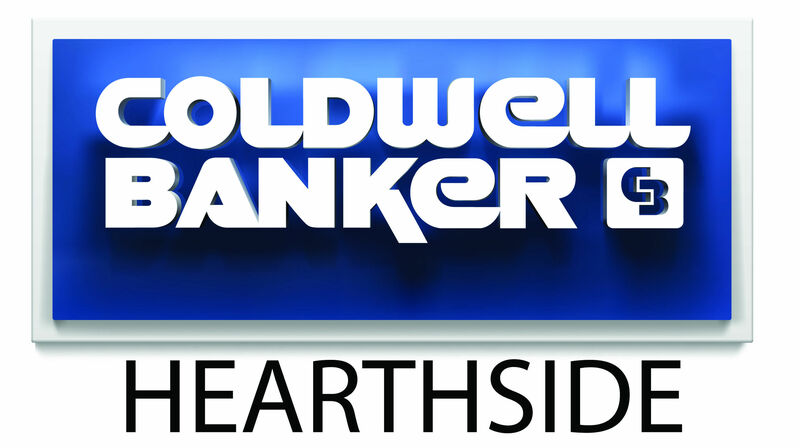 Joan Kamens is a Realtor in residential sales with Coldwell Banker Hearthside covering the Bucks County area. She has over 35 years of combined retailing, merchandising, marketing & sales experience. Her areas of expertise include first time home buyers, downsizing senior citizens, investment properties and is certified in relocation. She has earned designations including Accredited Buyer Representative, Seniors Real Estate Specialist, Certified Home Marketing Specialist . She was recognized with the "Philadelphia 5 Star" Professional Real Estate Agent Award consecutively for 2012 - 2017. This honor exemplifies Philadelphia area agents who provide exceptional service and overall satisfaction to clients & represents less than 4% of Realtors in the area. She teaches adult education courses in Real Estate and appeared several times as guest on CNBC Power Lunch. She has earned the Diamond and Executive Club production awards. Sellers find Joan to be an inventive marketing professional, who provides flexible, attentive service characterized by discretion, well timed advice and a keen sense of the market. The sale of your home is managed from start to finish. She designs a customized marketing strategy to present your home in its best light, gets that message to the broadest mix of buyers and expertly negotiates the price. Joan soaks in every detail of her buyers concerns and preferences, working diligently on their behalf until she finds their perfect home. She excels at hand holding and at keeping her buyers thoroughly informed as she guides them through the intricacies of the real estate process. As a long-time resident of the Bucks county area,with experience in a facet of industries, Joan is skilled in helping people of all ages with real estate transactions in this region’s market.The referrals she receives from past clients is a testimony to her abilities. Joan listened to the my concerns and wants for a new home. She was extremely helpful narrowing down potential homes. Joan went above and beyond as a realtor and made the sale and purchase of our new home as stress free as possible. Joan is extremely professional, ethical and honest. I truly appreciate those qualities. Joan is amazing!! She made the entire process easy to navigate and her knowledge of the market was extremely helpful. We will recommend her to our friends and family as well as in any other real estate purchase. Joan went above and beyond our expectations and works with a sense of passion that is rare. She treated us like family and that goes a long way.As stated before, Joan made everything easy for us and went above and beyond our expectations! I will recommend her to friends and family. Her knowledge of the market was key in guiding us through the entire home purchasing process. Joan has a passion for her work and it’s obvious she cares and it shows. We will definitely use her in the future again and feel very fortunate to have met her. We really appreciate all her hard work and we love Joan! !Again just amazing and so happy to have found her!! !Professional and very courteous. A very pleasant experience!Please see all previous comments and give Joan a raise!!! I relocated from across the country and could not have asked for a more knowledgeable, professional and friendly person to guide me through the process and negotiate on my behalf than Joan Kamens. Even after the purchase was completed, Joan continued to support me by answering questions, giving advice and, when asked, she even provided referrals to home repair contractors such as plumbers and painters. She was always available, always cheerful, always knowledgeable. I recommend Joan Kamens wholeheartedly. Joan is a wonderful and extremely knowledgeable real estate agent. We have known her for 3 years. She initially helped us find a rental property that we loved, and then later helped us buy our first home. She is knowledgeable of the Bucks and Montgomery county areas, and her expertise was a great help guiding us look for homes in those areas. Joan was very accommodating in her hours and always scheduled appointments that worked best for our busy work schedules. She was always available to contact on the phone, even when she was on vacation, which we were grateful for in this competitive housing market. She worked quickly to schedule immediate house tours for us and preparing any documents that was needed. We were extremely impressed with her real estate knowledge and we learned a lot about the housing market from her. She knew all the in's and out's of what to look for in a home, and was very honest if a house was not in good condition, if it needed work, or was not right for us. I appreciated her honesty and how she had our best interests at all times. Joan cares about her clients, and goes above and beyond for her clients, even when we didn't ask. She fights to get us the best deal and incentives that she feels we deserve. We are grateful to have Joan as our agent and to guide us through our first home purchase. She was quick to prepare all the necessary paperwork and made sure all paperwork was submitted on time. I recommend Joan as a real estate agent to anybody that is searching for their next home. Joan Kamens was wonderful to work with through all the steps of selling my father's house, which was a very emotional time for me. She was empathetic, while keeping me on point by looking at the process objectively. Joan was very knowledgeable in evaluating the property and how to best market the property. She listened to my concerns and always communicated in a timely manner. I would highly recommend her. Joan Kamens was a dream to work with. She was always available and spent a lot of time with us well in advance of our listing to get the property ready. She always made us feel important. Joan has a very good grasp of current market conditions and expected trends. We can't thank her enough for making everything happen on time. The overall experience with Joan exceeded our expectations. We would certainly recommend her to anyone in need of real estate services. Overall, we had a great experience with Joan Kamens. Once we finally found our new home, my wife said, "It makes me sad to think we won't be working with Joan anymore." I think that comment speaks a lot about not only the work that Joan does for her clients but the type of person she is, too. The attention she provides to her clients throughout the home buying/selling process is incredible and I don't think it can be matched. When she takes you on as a client, it feels like she adopts you as part of her family with the amount of time and dedication she provides--it was really an advantage to have her in our corner. Home buying/selling is not an easy process today but when you have someone like Joan guiding you thru it, it really allows you to take a step back and enjoy the experience as everyone should be able to do. For these reasons, we would highly recommend Joan to our closest family and friends. For my wife and me who have never been in Pennsylvania before, Joan was the critical resource we needed to find our home. She is knowledgeable of the area, but most importantly she is determined to find the right place according to our requirements. Joan was absolutely outstanding. She kept us well informed and worked hard for us from start to finish. I have been acquainted with Joan for over 20 years, but after the experience of listing our home with her, I consider her to be a friend. She guided us through what we considered to be a stressful time by reminding us it was a process, and we would get to the finish line. She was a port in the storm reminding us to think positively, and whenever I texted, called, or emailed her, I would almost always get an immediate response. The selling of our house was stressful, but Joan Kamens kept me calm. She said she would get us to the finish line, and she did. I consider her to be a friend, but working with her in a real estate transaction showed me her level of professional expertise. I would use her again and recommend her to other people. Joan was wonderful to work with. She was very responsive and got our home sold quickly, even while we lived out of state. I would highly recommend Joan to anyone looking to list their home in Bucks County. Joan's knowledge of dealing with Sellers that do not live in the area was a critical point in deciding to use her as my broker to sell my home in Yardley, as I live in Atlanta.Joan handled everything for us, as we live in another city. She was very dedicated to getting our house sold quickly for us, and handled all appointments for us to service home repairs, as well as represented us at closing.Joan was a pleasure to work with, and I never even met her in person!I had a great experience working with Joan from a distance. I would recommend her highly to anyone looking for an agent in the area. Joan Kamens was a true professional who brought the entire package - experience, passion, customer support, and detail-oriented leadership. She is truly excellent and I would recommend her to anyone. Joan was a great advocate for finding the right home for my family and I. The more I worked with her, the more I witnessed her working tirelessly and with great competence, honesty, and professionalism. She took a personal interest in my home search and that made a big difference. I highly recommend her to anyone.Joan did great research of what the proper values were for homes in the area that we were interested in. She also paid close attention to the home details that were important to my family and I.Overall, Joan was an excellent partner in my home search. She showed great respect for me and my time. She also made herself available for any questions that I had throughout the home search. Joan Kamens was a pleasure to work with throughout the entire process. Joan is professional, smart and extremely knowledgable about the real estate market and her business. She is detailed, savvy and very hard working agent. Joan always had our best interest in mind and negotiated extremely well in our behalf. I would highly recommend Joan to any prospective client. Joan followed through with a great attention to detail. She was very thorough while presenting the various documents and extensive paperwork. Joan was patient and took her time to explain the serious requirements and documents.If you are looking for an agent who is competent, thorough, knowledganle and a pleasure to work with, then Joan Kamens is a perfect choice! Joan Kamens is one of the best real estate agents we ever worked with. She is highly professional, knowledgable, understand customer need, provide customer much more added value than a regular real estate agent. Highly recommended. We had the pleasure of working with Joan as she sold our house for us. experience with us and was an all around great person with whom to work. We had 2 really bad experiences before. Finding Joan was a relief. Joan was a big helper with our first house purchase. She explained every process and made us confident when the big decision happened. She was always available to look at houses and to answer our questions! We are extremely happy with our new house and we thank Joan for it! We recommend her to our friends! Joan is very knowledgeable and professional. She is always there to answer my questions during my house buying process. She is very respectful of time and schedules. I highly recommend her. Mrs Kamens is one of the most excellent realtor I have dealt with. Her personality makes you feel at ease but above all her commitment was outstanding. Her dedication to her work is 100 percent . Joan Kamen's was thorough and communicative. She guided the sale with a renter in the property with patience. Joan is wonderful! She explained everything in the contract, offered suggestions on staging my home for sale and marketed my home successfully. In addition to her real estate expertise, she is friendly, supportive and very responsive. Joan became a friend, sold my home and provided moral support during a stressful time. I highly recommend Joan to anyone buying or selling a home. It was a pleasure to work with her and I know your experience will be just as great! Joan is a very attentive and flexible partner in the process of buying a home. She makes herself available, is extremely respectful of time and is knows her territory well. Her detailed knowledge and sense of humor make spending time with her a delight. I thoroughly recommend her. First we want to Thank Joan for all her hard work and knowledge. When we retired 3 years ago we relocated to TN. A year ago we were not happy here in TN and wanted to move back to PA. We called Joan on one of our many trips back to PA and from that point on Joan stuck by our side. When it was time to sell our home here in TN she was right on top of it as far as letting us know what we should do to get prepared for relocation back to PA. As being retirees she made sure that we knew price range to look for and comfort. Knowing there is economical differences between the two states. She wanted to make sure we were not going to get in over our heads. When she sent us homes to review including finding a home that would not have to put out extra expenses due to having a 31ft motor home we needed to park. She took everything in consideration. We would like to say if you ever need a realtor that is professional, knowledgable, and compassionate Joan is the Realtor you want working with you. Unfortunately, the sale of the house in TN didn't work out at this time, but, we know that Joan will be there to help us find a house when the time comes in PA. We wouldn't go to anyone else. Joan is excellent. She knows the area well and is willing to spend as much time as needed to help you find the right home. Early in the process, Joan took the initiative to show different neighborhoods to my husband and me to make sure we knew all the options available. She understood very well what we were looking for and always selected good houses for us to see. Once we found the right house, Joan made sure everything went smoothly, from negotiations to paperwork. She was always very responsive, attentive, and a pleasure to work with. Joan is top-notch. I cannot say enough good about her. She is highly professional, well-organized, determined, and has good knowledge of the market. She helped us through a particularly challenging buying process that was loaded with twists and turns, but she never gave up. In the end, it took a large amount of skill and resources on her part, but she got us a great home in an awesome location! As another poster mentioned, she really does go above and beyond the call of duty for her clients. I am so confident in Joan that I am recommending her to my own mother. I can understand Joan's professionalism and excellent service in her local area, but her quick response to a house search in Chicago takes her to a even higher level. Not only was she prompt in referring a good source, her negotiating skills got us a great condo 20K below narket value. I will always refer her to friends and relatives. I would highly recommend Joan as a realtor. She is extremely knowledgeable about the real estate market, is very professional, and has a great personality. Real estate transactions can be very stressful, but Joan explained every step of the process in a manner that was easy to understand. Joan is a real people person and was always eager to help. I am grateful to have had Joan's expertise and guidance. She worked very hard for me and I know she will do the same for you. I feel she cares about all her clients, whose best interests are very important to her. Joan is extremely professional and operates with the highest level of integrity and moral values. She is always willing to go above and beyond for all of her clients. Her expertise and Industry knowledge makes her an incredibale asset for anyone looking to buy or sell their home. I would recommend her to anyone! Joan is not only a first-class Realtor, but also a very caring person who has given us tremendous support in dealing with every aspect of our relocation. She was always there working with OUR best interests in mind, listening to our needs, and offering her experience and knowledge along the way. As other have commented here, she goes well above and beyond to make her clients satisfied and the completion of the deal. We highly recommend Joan Kamens to anyone who is looking to buy or sell a home. It would be very difficult to find another Realtor with Joanâ\u20AC™s dedication, experience, and integrity. We would love to work with Joan again, and will do so if ever the need would arise. But then again, we are really happy with the home that Joan had helped us in acquiring. Joan is a great realtor and I would not hesitate to recommend her to anyone. She sold my home quickly and painlessly and is very professional and dedicated to her work. I will forever be grateful! Not only is she good at what she does, I am proud to call her my friend!